1 in 6 of purchases made at the coffee company is via mobile phones. According to Howard Schultz, Starbucks CEO, during the company’s third quarter earnings, 16% of the nearly 7 million transactions occurring each week at its shops are via mobile payments and this success is due to the early launch of its mobile version of its payment card, which has lead to Starbucks transacting over 90% of purchases made via mobile devices in the US, last year. Shultz says that “the real growth is yet to come”. He explained that the success Starbucks has achieved has to do with leveraging “the intersection of three powerful mobile trends.” According to Shultz, these trends include a change in consumer behavior as people are spending more time online and less time in physical stores. There is also the trend of people eating out and less at home and the growing trend of people engaging in online activity via their mobile devices. Shultz explained that Starbucks mobile order and pay” seamlessly integrates mobile ordering and our proprietary mobile program with point of sale and store operations.” He said that this enables Starbucks to enhances the experience of its customers, exceed their expectations and extend their loyalty. 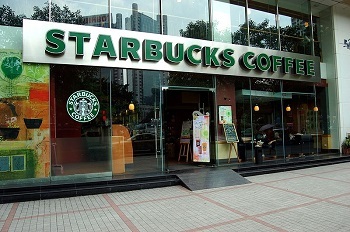 Starbucks is seeing a growth of 50% in mobile payments every year. The new mobile order and pay app is set to be launched in the Portland market in December and throughout the nation in 2015. The new app will enable consumers to place their order before heading to select stores, so they can pick up their order without having to wait in line. The number of Starbucks cafés continues to expand in 2014, with more drive-up options being added to stores. Shultz said that even though the company does not have the software or the hardware expertise of its competitors it has managed to alter consumer behavior, which is something its competition has not done. The CEO stated that Starbucks has achieved this by integrating mobile payments convenience into an enjoyable and compelling program that gives customers rewards.